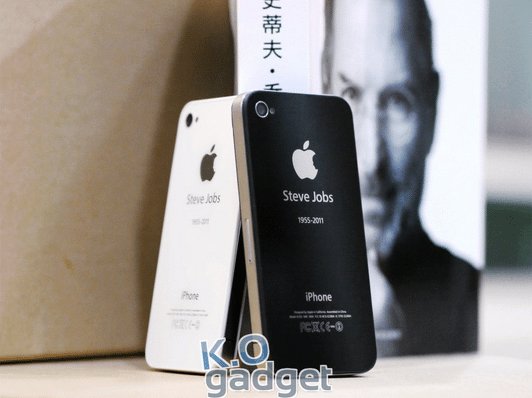 This mod for iPhone 4S and iPhone 4 would be one of the best tribute to Steve Jobs. The commemorative Steve Jobs iPhone back panel comes with the redesigned Apple logo you see on the back panel designed by Hong Kong design student Jonathan Mak. The back panel looks and comes exactly like an iPhone stock back panel.The panel won’t affect the hardware, camera or performances of your iPhone, it comes with the necessary parts including camera lens, flash diffuser and bezel. 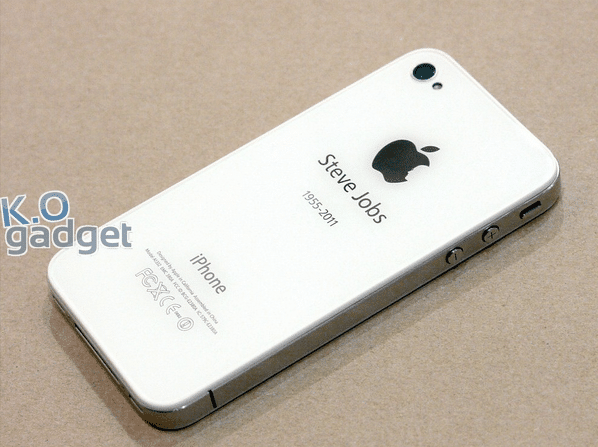 The back plate is available for white and black iPhone 4 / 4S models. So both owners can purchase the ‘iPhone for Steve’ rear panel for their white or black device. Steve Jobs changed the way people use computer, tablet and smart phones. 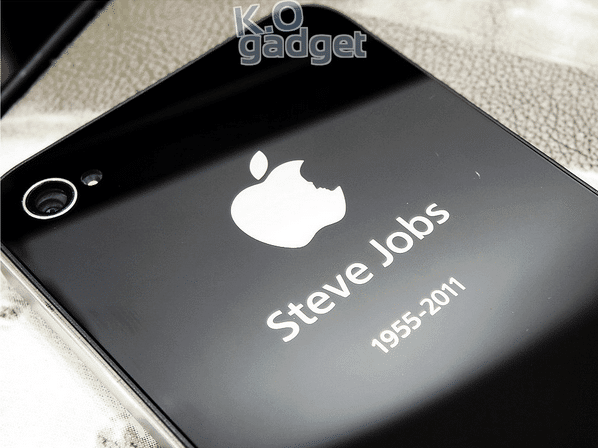 If you appreciate what this man has done for technology then this modded rear panel would be the best way to honor him. This mod to the iPhone back panel doesn’t only shows that you appreciate what Steve Jobs did for technology, but it also makes your iPhone looks unique with the redesigned Apple logo. You can buy one of this back plate for a price of $23.90 at K.O Gadget. The panel is designed for iPhone 4 and 4S and comes with the back panel for an iPhone 4S or iPhone 4. One Phillips-head Screw Driver and Pentalobe Screw Driver.